This could be yours for $150. Real estate prices are plunging, but this is ridiculous. You could own a $2 million home in Marin for just $150. Here's the deal. Community Action Marin is holding a raffle to benefit low income people in Marin County. The home is 3,200 square feet and has a view of the ocean. It also features a private elevator, a gourmet kitchen, hardwood floors, crown molding and an outdoor terrace. The raffle tickets went on sale September 1. The brand new home is in Larkspur and sits on a quarter acre of property. The raffle runs through February. A Early Bird drawing happens on Oct. 14. 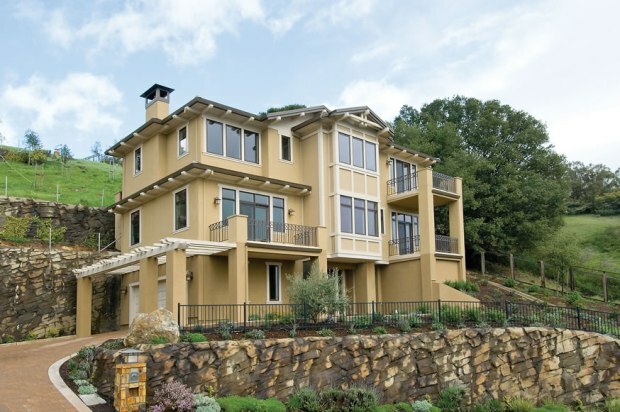 Raffling off million-dollar homes has been all the rage in the Bay Area recently. Last month, the Neighborhood House of North Richmond announced that it's raffling off a $4.3 million dream house in Oakland Hills in October to benefit a number of community-based programs. InnVision is raffling off a $3 million house in Los Altos in November.